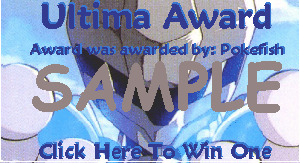 This is the hardest award to win on my site you must have a link on my site join my webring have all of the other requierments no broken links lots of info I dont care about the pics and no illegale content like roms & emulaters. 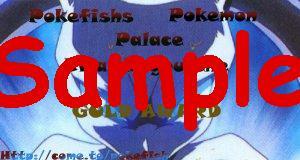 To win this award you mush have a good website must havelots of info on pokemon nice navigation at least 10 pages of info min, and a max of 4 links broken also you must place a link to my site using the banner or a text link. 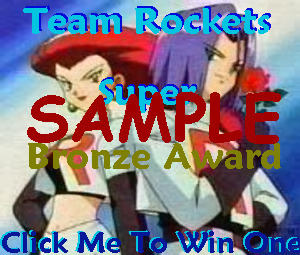 One of the easyest awards to get on my site all you have to do is link to my site have info on pokemon 10 pages at least joining my webring will help out alot, have a few pics, and have a max of 4 broken links. If you dont link to my site I will not give you the award. 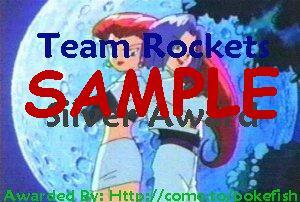 Click here to get the html for the banner.